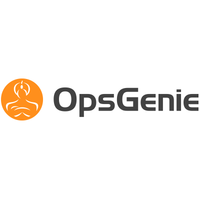 OpsGenie is an alerting and incident management service providing the tools you need to design meaningful, actionable alerts, manage on-call schedules & escalations, and ensure the right people are notified at the right time, using email, sms, voice and mobile push notifications. - Click on "Save Integration". - In Freshdesk, From Admin -> Dispatch'r Rule screen, click "add rule". 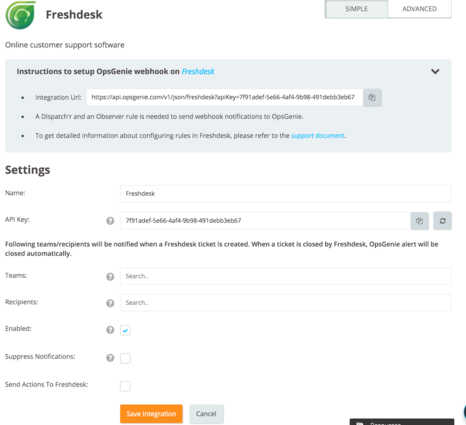 - In actions section, choose "Trigger Webhook" from dropdown. - Paste the integration URL to "Callback URL" field. - Set "POST" as request type, Encoding "JSON" and content "Simple". - Enable all fields in the content field.